London: Secker & Warburg. Dark Green Cloth. 359pp. This edition has two volumes in one - 'The Growth of the Novelist 1879 - 1914' & 'Polycrates' Ring 1914 - 1970'. A fresh copy, with a few grouped b/w illustrations. There is the slightest of bumps to the head & tail of the spine & the upper corner of the front board is also slightly bumped. Slight spine lean. Sligth fading to the rear board, concealed under the wrapper. The dust wrapper has not been price clipped - though does have slight shelf wear to the wrapper edges. A lovely clean, crisp copy. . Very Good. 1979. First Edition Thus. Donald. Hardcover. 0859763234 204pp. (yellow spine) 4to. sized. 1991. First edition. A lovely, clean, tight very good plus copy in very good jacket. No inscriptions. Original publisher's black boards - gilt embossed to the spine. The text supported by numerous photographic reproductions. A light bump to the tail of the spine. A neat biro gift inscription to the head of the front endpaper. The jacket has been price-clipped and has a little shelf wear, one very tiny stain to the rear panel and a slightly bigger one to the front panel. . Very Good. London: Longman, Brown, Green and Longmans. vii 436 pp, original green cloth spine with card boards, labled title to spine w black lettering vol v, part 1, browned, a little wear to top/tail of spine with just a little fraying, rear joint rubbed at top, some wear to extremities of boards, corners worn and bumped, contents clean and tight, page edges slightly browned, A good copy. Please contact us prior to placing an order to confirm availability and postal charges. Please also note, in some instances we are able to offer a discount on the list price depending on payment method - please enquire. Enquiries are also welcome from the trade. 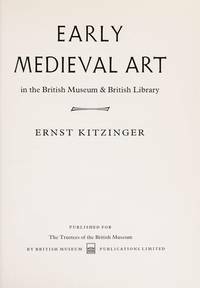 If you would like a digital image of this book or further information, do not hesitate to contact us - we would be very pleased to help you. . Good. 1844. First Edition. Other. Hardcover. 0415052394 269pp. (black spine) large 8vo. 1990. First edition. A very good, clean, tight copy in like wrapper. No inscriptions. Silver embossed title to the spine. A printer's flaw has left slight creasing to a few extreme leaf corners at the head - not very noticable. The wrapper has not been price-clipped and has some light creasing to the head and tail of the spine and fairly light creasing to the head of the front panel of the wrapper. A very good, clean, tight copy. . Very Good. Geneva: Minerva. Blue Boards. 2830705033 192pp. A super copy of this very scarce pictorial hardback. A lavish production with numerous colour pictorial aerial photographic plates - many full page with supportive text. Slightest of bumps to one corner. Fresh and clean. Minimal shelf wear to the wrapper edges with very faint slight age toning to the head of the front and rear inner flyleaf. Clean and tight. . Fine. 1998. 1st English Edition. Schiedam: Interbook International. Red Cloth. 256pp. Third edition (1980). Numerous hallmarks and b/w photographic illustrations throughout. Bound in red cltoh wth gilt embossed lettering to the front board and spine. There are three slight stains with tide marks to the front board, visible in some lights. PP 191 is slightly proud with a nik to the front fore edge and associated light creasing. Small soil mark to the front fore edges - the textblock is clean and tight. A very good copy. . Very Good. 1980. Third Edition. London: HarperCollins Publishers. Blue Boards. 0002245787 874pp. A super copy. 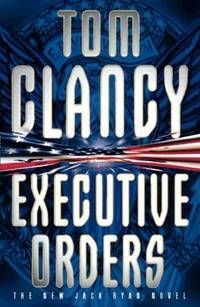 Signed by Tom Clancy to the title page. Probably UK second impression. Light bump to the head of the spine and the slightest of bumps to one corner, hidden under the wrapper. A couple of light indentation marks to the front board, under the wrapper. A slight soil mark to the lower edge of the front end paper. Normal slight age toning to the pages - otherwise a clean and tight copy. Dust wrapper not price clipped with light shelf wear. Light creasing to the wrapper at the head of the spine and the tiniest of niks to the wrapper over the lower corner of the rear board. A couple of small, light indentation marks to the front cover, with no loss of the wrapper. Clean and tight. A very good copy. . Very Good. 1996. New York: Harry N. Abrams, Inc., Publishers. Card Covers.. 144pp. (blue spine) 1994. First edition. 8vo.large oblong. A lovely, clean, tight fresh near fine copy. No inscriptions. The text supported by numerous photographic reproductions in colour and black and white after the artist's work. The slightest of creases to the extreme tip of the lower front card cover corner. The slightest of rubbing to the head and tail of the spine. A lovely, well preserved copy. . Fine. 1994. First Edition. Stroud, Gloucestershire: Tempus Publishing Ltd. Black Boards. 0752414275 160pp. Illustrated with b/w reproduction of Barrow Digger portraits, maps & cross-sections. Slight bump to the head of the spine & one board corner. Bright & fresh. The dust wrapper has been price clipped. Slight shelf wear. No niks or tears. A lovely first edition. . Fine. 1999. First Edition. The Arts Council of Great Britain. Card Covers. 41pp. exhibition catalogue. The text is accompanied by photographic examples of early celtic art. The catalogue has a little shelf wear to the card covers & is in otherwise clean and tight. A very good copy. . Very Good. 1970. Third Impression. Sir Joseph Causton & Sons Limited. Cream Boards. 71pp. Gilt embossed vignette of a fireman's badge to the front board and lettering to the spine. Light soiling to the boards. Colour frontispiece. Three fold out maps to the rear of the book. Includes an insert - 'From the Sum Insurance Office with the Manager's Compliments' Illustrated with numerous b/w plates. Slight nick to the head of the spine and light shelf wear to the head and tail of the spine. Three corners slightly bumped. A light crease to the edge of two of the maps at the rear of the book. Clean and tight. A very good copy. . Very Good. 1910. 1st Edition. Bath: Kingsmead Reprints. Hardcover. 266, CC (plates)pp. 1970 reprint of the 1952 first edition. 249pp of text followed by two hundred plates - photographic reproductions of the artists's work. A lovely tight clean reference copy. The head and tail of the spine and several corners have been bumped. The wrapper is loose fitting. There are several surface creases to the wrapper and a small chip to one edge of the wrapper. There is one tear with slight loss to the head of the spine - now repaired with acid-free archival tape. The wrapper is also price-clipped. A clean, tight very good copy of an important work of reference. . Very Good. 1970. Reprint. Varanasi 221005 India: Prithivi Prakashan. Original Cloth. 158 pp. Part of the Indian Civilisation Series. No XI . Numerous photogrpahic plates and other illustrations support the text. Original weave type cloth bound boards. Internally clean, tightly bound apart from very slight split on inside of rear hinge. In excellent condition. A very good copy. . Very Good. 1977. 1st Edition. Edinburgh: The Royal Scottish Geographical Society. Hardcover. A lovely, fresh, clean, tight 2 volume near fine set in very good jackets. Third edition. 1973. A former owner's name/date inscription in neat blue ink to the heads of the front endpaper's of each volume. Volume one: a bump to the tail of the spine and a slight bump to the lower front board corner. The jackets have been laminated by a former owner - this has kept them looking clean, neat and dust free. . Fine. 1973. Third Edition. London: British Museum Publications. Card Covers. 0714105287 127pp. A lovely book. Illustrated in b/w throughout & with colour plates to the rear. Slight rubbing to the tail of the spine. Minimal wear. Near fine & well preserved. . Fine. 1983. Third Edition. Washington: Martino Pub. Blue Cloth. 1578981921 220pp. A super copy of this facsimile reprint from the original 1931 edition published by Frank McCaffrey. Bound in blue cloth boards with black embossed lettering to the spine. Several illustrations throughout. Fresh and clean. No wrapper. A fine, virtually 'as new' copy. . Fine. 1999. Facsimile Reprint. Great Britain: Paul Elek Limited. Grey Cloth. 536pp. 1975. First edition. A lovely, clean, tight near fine copy in a very good wrapper. Original publisher's grey cloth - embossed in black to the spine. No inscriptions. The wrapper has not been price-clipped. The wrapper has been laminated - probably shortly after purchase - and so it is free from creases, tears or rub/soil marks. A lovely fresh, clean, tight near fine copy in a very good wrapper. . Fine. 1975. First Edition. Woodbridge Suffolk: Antique Collectors Club Dist. Blue Boards. 1851492305 143pp. A new copy, never read. 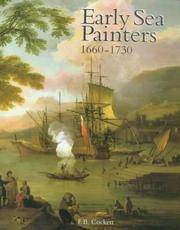 Beautifully illustrated with numeorus examples of sea paintings in both colour and b/w. Colour pictorial end papers and gilt embossed lettering to the spine and front board. Fresh, clean and tight. Dust wrapper alos fresh and new. There is a light neat crease to the head of the front of the wrapper. A lovely copy. . New. 2006. Reprint. Woodbridge Suffolk: Antique Collectors Club Dist. Blue Boards. 1851492305 143pp. A new copy, never read. Beautifully illustrated with numeorus examples of sea paintings in both colour and b/w. Colour pictorial end papers and gilt embossed lettering to the spine and front board. Perhaps the slightest of bumps to the tail of the spine. Fresh, clean and tight. Dust wrapper alos fresh and new. The sligtest hints of creasing to the head of the wrapper. A lovely copy. . New. 2006. Reprint.